Active Experts are trainers, coaches, athletes, and columnists, and are world-reknown in their respective sports and areas of expertise. Active Experts are here to provide high-quality columns and blogs, training advice, and to answer your questions. 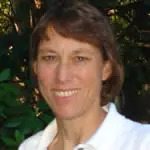 Gale was the men's and women's USA Triathlon team coach for the 2003 Pan Am Games and the 2004 Olympic Games in Athens. Thousands of athletes have trained and raced successfully using Gale's training plans, books and workouts. Sports nutritionist Nancy Clark counsels both competitive athletes and casual exercisers. She specializes in nutrition for exercise, wellness and the management of eating disorders. Her clients have included the spectrum from Olympians and pro athletes to "ordinary mortals." 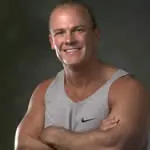 "The World's Fittest Man," Joe Decker, is an ultra-endurance power athlete, renowned fitness trainer, motivational author and speaker, and fitness columnist who has helped thousands of women, men, kids and seniors get into shape and lose weight. Lisa Druxman founded Stroller Strides, the largest fitness program for new moms in the United States. An authority on pre and postnatal fitness, she also created the weight management program, L.E.A.N. Mommy. Matt Fitzgerald is a certified sports nutritionist, coach, journalist and author specializing in the topics of health, fitness, nutrition and endurance sports training. Jeff Galloway is a 1972 Olympian who ran the 10,000 meters and was an alternate on the marathon team. He is a renowned coach and author of more than a dozen books on running. Bestselling author, accomplished endurance athlete, certified coach and personal trainer, Jenny Hadfield's unique coaching style has helped a myriad of runners and walkers of all levels achieve their goals. As coach of Marathon Nation, 14-time Ironman finisher Patrick McCrann has helped runners and endurance athletes of all ability levels to improve their performance through his online communities, books and speaking engagements. Six-time Ironman World Champion Dave Scott maintains a busy schedule as a fitness and nutrition consultant, nationally recognized speaker, triathlon coach and athlete. Jessi Stensland is a professional triathlete who races all types of endurance events. She's also a video producer and an expert on the subjects of movement efficiency and true athleticism, as it relates to endurance performance. Cool Running is the complete online resource for runners. Find your favorite campground from the best campgrounds listing!